The DVD is sold out. I'm not aware of any plans for a reprinting, but if you are interested, drop me a note. The Official Colver, PA Historical DVD was painstakenly built under the direction of Ken Taylor. Ken videotaped Colver natives reliving the experiences of growing up as a Covlerite. This DVD contains two hours of footage condensed from dozens of hours of raw tape. Carefully arranged into orderly chapters, it is sure to strike strong chords in the memories of any Colvite. 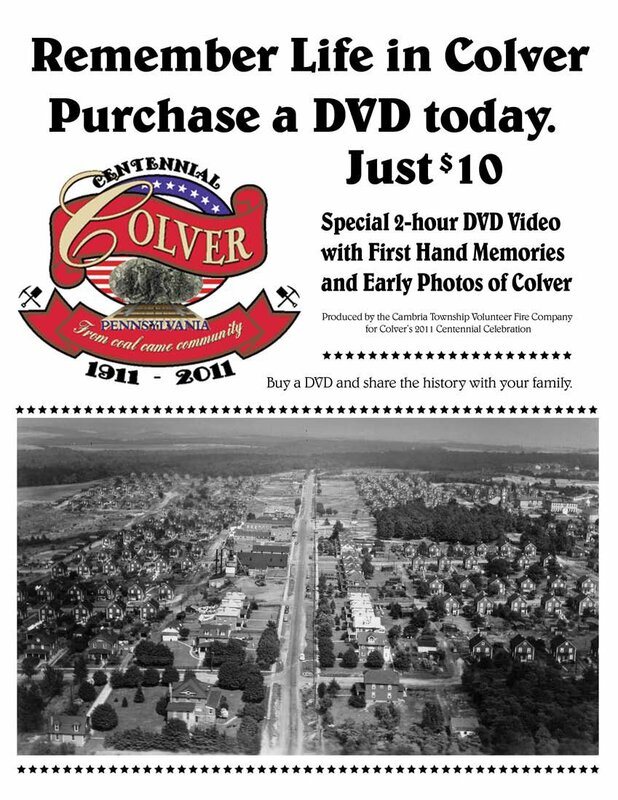 The Colver, PA Historical DVD will be available during the Centennial Celebration for only $10! It makes a wonderful take home souvenier. Availability is somewhat limited.